Yesterday, Niantic released a video confirming that Gen 2 Pokemon have making their way into the game. Trainers need to hatch Pokemon that were originally discovered in the Johto Region in Pokemon Gold and Pokemon Silver video games. After Niantic announced that they will add 100 new Pokemon, trainers are hoping for all these Pokemon. But only a few Gen 2 Pokemon are joining the game: Togepi, Pichu and "several more select Pokemon." Meantime, these Pokemon will not appear in the wild, and can only be hatched from eggs. 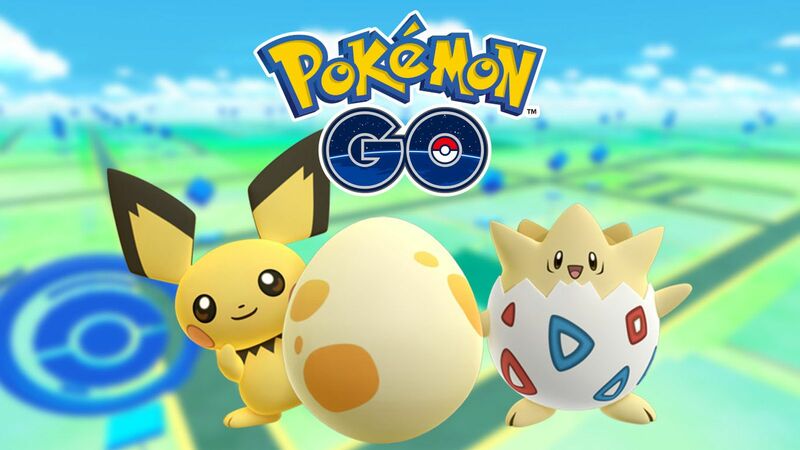 As we know, egg hatching takes time as you need to go to Pokestops; effort while it's neccessary to walk up to 10KM to hatch an egg. It's largely random that the Pokemon inside each egg so what you actually need is luck. Notably, players can’t use third-party radars to find the egg they need, nor can they even really tell each other where to find them because they’re dispensed at random. What's more, players can only hatch one egg at a time unless you spend money. Eggs are hatched by placing them in an incubator and walking a certain distance; you get one infinite-use incubator free, but can buy up to eight more (for about a buck each) that expire after three uses. "We also have another special treat for you. Starting later today through December 29, 2016, 10:00 A.M. PST, you’ll find limited edition Pikachu all over the world. These Pikachu will be wearing a festive hat to celebrate the season! Use the Pokemon Go AR camera when you encounter them in the wild to take their picture and share it with us using #HolidayPikachu." As we can see, the holiday event consists of a special, limited edition Pikachu wearing a "festive hat." There will also be more of these Pikachu around than usual. According to Forbes, Gen 2 was a golden opportunity for Pokemon Go. We are looking forward to there will be more new features added in the holiday event and promotion.